You are here: Home / Marketing Talk / Are you waiting to be served? Are you waiting to be served? Is there something about your Social Media experience that you aren’t enjoying right now? It could be anything. Maybe your blog is frustrating you. Maybe Twitter is making you crazy. Maybe Facebook is making you want to flip out. Let me ask you something if you answered yes. Have you gone out into the Social Media world and tried to change what’s bothering you? Be 100% honest. Asking for help doesn’t count. Reading blogs doesn’t count. Attending webinars doesn’t even count. Maybe you’re waiting to be served. Social Media is full of cooks. It’s kind of like a festival too, because there are all kinds of cooks out there ready to serve you their delectable morsels. Even better, these cooks will not just hand deliver you their creations. Some of these cooks will literally stuff their food into your face until you say “uncle.” People are cooking up savory Social Media campaigns for you. There are cooks making delicious Digg observations. There are sous chefs specializing in SEO. It’s easy to let all of these cooks come to you and serve up whatever they’ve got, isn’t it? But what if none of that food is hitting the spot? What if something just keeps gnawing at you? There are three options, as so often is the case. Option One: You just keep letting the cooks serve up what they’ve got cooking. Option Two: You yell at the cooks and say, “Hey, this isn’t doing it for me, man! I am not fulfilled!” Or Option Three: You leave the table and go to cooking school. Because there are so many cooks, it’s extremely easy to get comfortable with the idea of option one. If something is bugging you about your Social Media reality, maybe you visit five blogs of really influential people and you read everything they’ve written for the last week or so. That’s active, right? Maybe you go to a webinar or two. Maybe you even go to a big event. It feels like you’re moving, right? The first and most important question you need to ask yourself before you make that order, or before you let someone feed you, is “What are you hungry for?” Or, a slightly different way of asking the same question – why aren’t you feeling full right now? Here are some symptoms of Social Media hunger that I have seen here and there. Don’t feed the cooks. Be a cook. A couple of days ago, we talked about expectations, right? Well, what is your expectation when you blog or tweet that you just can’t… xyz? Are you expecting someone to swoop in and solve that problem for you? Once you do that, the Social Media world is your oyster. If you are feeling lost in a chat, cook up your own conversation with someone about something you both find interesting. If you are finding that your blog isn’t doing what you want, change it up. Add something wild, like cumin or saffron. If you aren’t having a good experience on Twitter, go out and make the experience that you want. Don’t depend on a cook popping by with exactly what you want. Learn how to cook it. 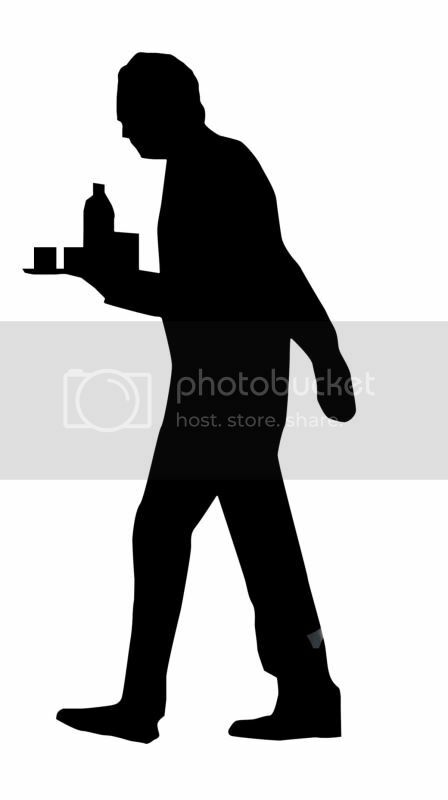 Was there a point where you found yourself waiting to get served? Are you doing that now? What’s bothering you about your Social Media presence right now? Let’s talk about how you, yes you, can actively turn that thing on its head and leave it far behind. Put that cook’s menu down. It’s time to go to cooking school. You’ve described a great way to handle the ups and downs of social media, but you’ve also given out a pretty good recipe for success in all aspects of life. If you “can’t” do almost anything, going out and learning for yourself, and then acting on it, turns you into a can-do person. It’s the only way anything really gets done for me. Now I’d better get busy and work on “acting on it!” Thanks for another grand post. I know, sometimes it’s hard to get those engines moving, especially when there are so many people telling you that they can make it so darned easy for you. However – it CAN be done. And it’s fun, that’s the real kicker.